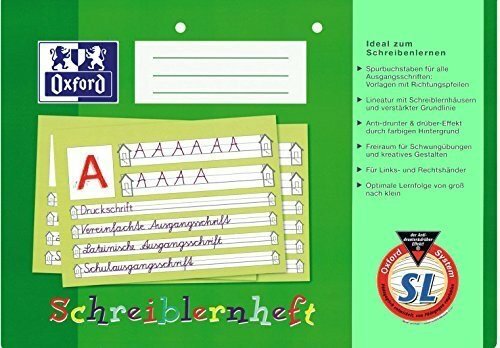 Beginners book:90 g/m², no chlorine, wood-free paper, white, format: A4 landscape, 16 sheets, lines with tracking letters for all standard letters: templates with direction arrows. Lines with learning to write boxes and hidden baseline. Anti-under and above effect through the coloured background.